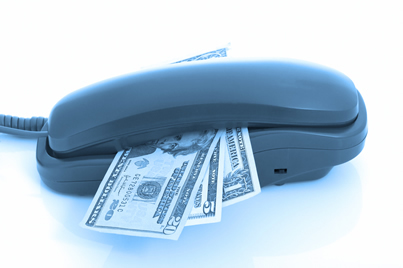 Telemarketing is a powerful, but frequently is used ineffectively. Regardless if your objective is cost effective appointment generation or closing the sale via telephone, the custom scripting, training and implementation of our telemarketing program will assuredly yield to fast and productive results. Being able to ask the right questions is only part of the process. Understanding the answers and using that information correctly is critical in moving towards closing the prospect. Every telemarketing training program will arm your account executives with the rapport building skills necessary to open a relationship with the prospect. They will acquire the listening skills needed to wait for all the answers. In addition, they will learn how to identify what the key “hot buttons” or determining factors necessary to close. This program is designed to develop effective telemarketing sales habits that will provide your account executives with the information they need to close effectively. This program is designed to create productive and effective telemarketing sales habits that will arm your account executives with the information that will be required for them to close effectively. Our RADAR© telemarketing training will teach your staff how to talk with the prospect, how to make an environment where the prospects sell themselves by identifying what they need, the reason that they need it, and how you can provide it for them. All of our telemarketing training programs are customized to the specifically to the client’s industry and staff's experience. The following is a sample telemarketing training program outline. Your representatives will master both the telesales techniques that assist in clients expressing their needs and how to use that information they provide to lead the prospect to the closing process.